Are you looking for a great place to live near New York City, without having to worry about the big city prices? Little Falls, New Jersey may be just the place for you. Located very close to New York City (an approximate 45 minute drive depending on traffic), Little Falls offers small town living with close proximity to the big city and all of its world-class attractions and amenities. This great location and convenient city access makes Little Falls a must-consider destination for all homebuyers looking to relocate in Northern New Jersey. Those who are looking for a good place to raise a family will be delighted to discover Little Falls has a quality public education system, in addition to the Montclair State University, for parents of students looking further down the road. As far as entertainment goes, Little Falls offers a little something for everyone. If you enjoy the outdoors, there is a reservoir just south of the university as well as a large park that is an ideal destination on sunny days. For people who prefer the nightlife, there is bar and grill in town, but if you are wanting a little more excitement, travelling into the city is easy. For those seeking a day of pure relaxation, there is a top notch spa and wellness center here, and the list of remarkable features goes on and on. If the thought of small town living with easy access to the city is appealing to you, you should consider the wonderful real estate options of Little Falls. Homes for sale in Little Falls include properties of varying ages, sizes and architectural styles. The listing prices of real estate in Little Falls fall within a broad price range that is sure to accommodate most budgets. 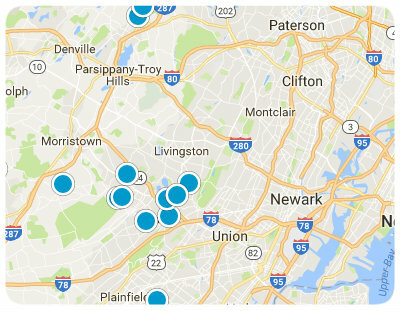 If you would like to learn more about the homes available in Little Falls, New Jersey, please allow us to assist you and contact us today.